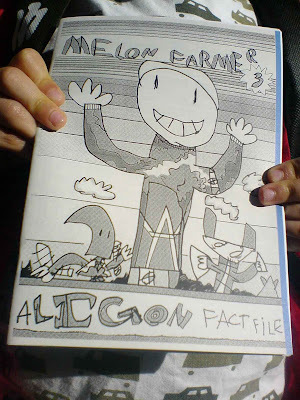 ALIGON ADVENTURES: MELONFARMER 3 OUT NOW! 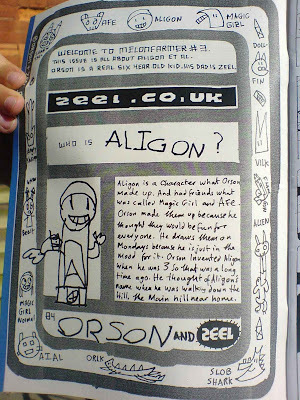 FULL OF THRILLING TALES, INCLUDING THE SECRET ORIGINS OF ALIGON AND HIS TEAM and SUPER-INTERESTING FACT FILES. Send me one and I'll send you Garden Funnies 2 (which I'll have folded and stapled in a fortnight i reckon)! Great meeting both of you at WMY. I'm loving Melon Farmer. 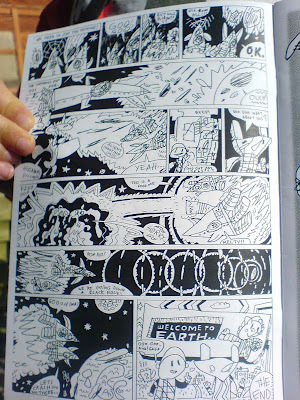 Every time I read MF 3 I find something wonderful. It's quite brilliant. I shall have my revenge ... I can't wait!